Brazil is a civil law-system country with a legal system based mainly on codes and legislation. The case law, however, has increasingly gained more relevance in guiding the interpretation of provisions of the Federal Constitution and the laws, especially when issued by the Supreme Court, a constitutional court that rules on appeals discussing violations of the Federal Constitution, or the Superior Court of Justice, which deals with violations of legal provisions and solves conflicting decisions issued by different courts of appeals on a same federal legal matter. As the Superior Court of Justice is ultimately the court for non-constitutional matters, it deals with most disputes involving commercial contracts. The general regulations of commercial contracts are set forth in the Civil Code (Federal Law No. 10,406/2002), including the provisions on their formation, effectiveness, enforceability, modification and possible consequences in the case of a breach. Court disputes addressing commercial contracts are conducted according to the provisions of the Code of Civil Procedures (Federal Law No. 13,105/2015), applicable in both federal and state jurisdictions. Parties in Brazil face no hurdle to bringing commercial contract disputes to the courts, because this right is guaranteed by the Federal Constitution. In addition, Brazilian law does not foresee special conditions, limitation or requirements for a foreign individual or entity to bring a lawsuit to the Brazilian courts. However, if such foreign-based plaintiff does not hold any real estate property in Brazil, it must post a bond to secure the payment of court costs and attorneys' fees in most of the cases. The posting of this guarantee may be exempted, for instance, in the case of an enforcement proceeding. In Brazil, arbitration is widely used as an alternative method of dispute resolution when it comes to commercial litigation, especially for complex, high-profile cases. The majority of the commercial contract disputes, however, are still brought to the courts, because the parties ordinarily spend considerably less financial resources in comparison to a same dispute brought to arbitration. Although less expensive, a court dispute may take considerably more time to come to a definitive conclusion, especially in complex cases. Brazilian law sets forth that a contract is considered as formed when capable parties freely agree upon a lawful set of their rights and duties, performing legal formalities if any. Before that moment, the parties are allowed to freely negotiate their interests and expectations towards a future, intended contract. The preliminary negotiation phase is not disciplined by the Civil Code and usually does not impose on the parties the duty of entering into a final contract. Nevertheless, the legal principle of good faith, effective in all phases of contract formation, as well as in its future performance, protects the fair expectations created by the parties at this preliminary stage. Pursuant to the principle of good faith, abuses committed by one of the parties during the pre-contractual phase may give rise to indemnification for damages in favour of the innocent party. The preliminary negotiation stage ends when one of the parties submits an offer to the other party. This offer generally binds the offering party upon its issuance, but the counterparty will only be bound to it upon acceptance. There are few situations in which an offer may become non-binding, for instance, when the acceptance is submitted after the deadline indicated in the original offer by the offering party. the contract must comply with the specific formalities required by law, if any. Brazilian law does not require specific forms for most of the contracts, and even accepts oral contracts, but, in certain cases, such as the sale and purchase of real estate and the incorporation of legal entities, the contracts must necessarily be entered into in writing to be valid. Although the parties are allowed to contract orally, it is highly advisable that any commercial contract of significant importance be made in writing to properly regulate the relationship between the parties. the contract may be effective for a limited period of time or up until the occurrence of a fact, after which, it will be automatically terminated. If the parties agree that a contract will be effective during a certain predefined term, and if one of the parties decides to terminate it before such date, the counterparty may demand the specific performance of it or, subsidiarily, may claim an indemnification. However, if parties set forth that the contract will be effective for an indefinite term, it may be terminated upon a prior notice, ordinarily without indemnification, unless parties define so or there are investments to be recovered. Pursuant to the constitutional principles of freedom to contract and free will (e.g., good faith, customs and traditions and sovereignty), and subject to relevant connection elements with regard to the contract (i.e., parties, subject and place of performance), Brazilian law authorises the parties to choose the governing law of the contract. Foreign law may be chosen in general when foreign connection elements are found in the contract. If Brazilian law is chosen, the contract provisions will be interpreted in light of the applicable legal provisions effective in Brazil, notably the Civil Code, and of the parties' practices, customs and traditions when complying with their obligations under the contract. The principle of good faith is one of the most important interpretative drivers orienting the parties' behaviour and the interpretation and performance of contracts. It plays a leading role in contractual relationships, and several other interpretative principles ultimately derive from it. Pursuant to the principle of good faith, the contracting parties must act with fairness, rectitude and honesty towards each other in order to thwart contradictory behaviour and abuse of rights, which may characterise a wrongdoing subject to indemnification. Therefore, both the wording of the clauses and the parties' will when entering into a contract will be of relevance for interpreting the contract provisions and the parties' obligation set forth in such contract. an increase in the obligation content owing to the creation of a right that has not been originally agreed to. Emails, proposals, preliminary documents and deposition of witnesses are examples of pieces of evidence to be produced in this regard. Still based on the principle of good faith, the contract should be construed as to best ensure its concrete performance and the harmed party may even claim indemnification for the loss of a chance. In adhesion contracts – those in which the contractual clauses are standardised and mostly established by one of the contracting parties – ambiguous or contradictory clauses should be construed in the manner most favourable to the adhering party. In addition, clauses providing for the adhering party's waiver of rights linked to the nature of the deal will be deemed as void. This rule is absolute when dealing with adhesion contracts imposed on consumers. The dispute resolution methods available in Brazil are court litigation, arbitration, conciliation and mediation. 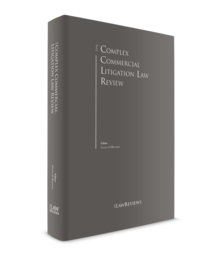 When it comes to commercial contract claims, the vast majority of the disputes are submitted to the courts or to arbitration, with predominance to court claims – exception is made for highly complex contracts, where the parties generally elect arbitration. Lawsuits discussing breaches of commercial contracts are generally tried in state courts, under the provisions of the Code of Civil Procedure. Exceptionally, the jurisdiction will be incumbent upon the federal courts should a public entity be a party to the proceeding or request to join the proceeding as an interested third party. 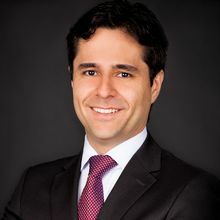 There is no minimum amount in dispute or threshold requirement for a party to litigate a commercial contract claim before Brazilian courts. Cases of any amount in dispute and any level of complexity may be submitted to the Brazilian courts, both in state and federal courts. As a rule, lawsuits at state and federal courts are tried publicly. The court may order the case to be conducted under secrecy in certain circumstances to preserve the parties' privacy or in view of public interests. The Federal Constitution and applicable legislation do not contemplate trial by jury in commercial and civil cases. Several states in Brazil, such as São Paulo and Rio de Janeiro, have lower courts and chambers at the court of appeals specialised in commercial and corporate matters, which intend to render to the litigating parties a more technical decision on the matter under dispute. an ordinary collection action, to be filed by the creditor in case it does not hold an extrajudicial enforcement instrument or if the title held by the creditor does not fulfil the requirements of liquidity, certainty and demandability. In this ordinary collection proceeding, the creditor will have to first constitute a judicial executive instrument to then be allowed to initiate the enforcement proceeding against the debtor (which may take from three to 10 years to occur, depending on the complexity of the underlying transaction). Depending on the matter, contracts should set forth the forum selection, indicating the court with jurisdiction to rule any dispute arising out of the contract, including breaches and its enforcement. The parties may also set forth that the jurisdiction will be exclusive upon a certain court, excluding any other court. In most contractual matters, parties are free to agree on alternative dispute resolution methods such as mediation, conciliation or arbitration (Law Nos. 13,140/2015 and 9,307/1996). Arbitration is the most usual alternative dispute resolution method for commercial contracts. Arbitration clause is binding. If the substantive claim is filed in court, the defendant may raise the lack of court jurisdiction for case dismissal and its remittance to the arbitration court. However, urgent precautionary measures may be addressed to courts until the formation of the arbitration panel. Upon formation of the arbitration panel, the precautionary measure and the merits will be subject to arbitrators' jurisdiction. In addition to setting forth the dispute resolution by court or arbitration, the recently enacted Code of Civil Procedure introduced the possibility of the parties to contractually agree on procedural aspects to be complied with in case of a dispute, for instance, the possibility to regulate the general steps to be followed to select the expert and to conduct the expert examination to assess damages arising out of the contract. Even if the contract is silent on this topic, the Code of Civil Procedure allows the parties to agree on certain proceedings after the commencement of a lawsuit. 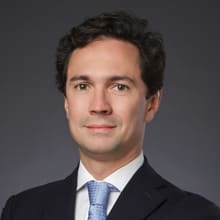 The possibility of agreeing on procedural aspects of a dispute may enable the adoption of some useful, tailor-made provisions for commercial litigation that, ultimately, may result in a faster, cheaper and more effective dispute resolution proceeding at the Brazilian courts. In the case of a breach of contract, the non-breaching party may file a lawsuit requesting the specific performance of the defaulted obligations or, alternatively, if the specific performance is no longer possible or if the non-breaching party is no longer interested in it, it may claim for damages, including substantial damages and loss of profits. In such a commercial contract claim, the plaintiff must prove that the counterparty has breached a certain provision set forth in the contract, that it has not given cause to the breach, that such a breach has not been cured and has caused, or is causing, damage to the plaintiff, and that this breach must be remediated by the counterparty through its specific performance or by means of an indemnification. Specifically, if the plaintiff files an enforcement proceeding to immediately demand the specific performance of the obligation or the payment of any amount set forth in the contract (e.g., a penalty), the plaintiff must also prove that the contract fulfils the legal requirements of an extrajudicial executive title, and that the obligation or amount is certain, liquid and demandable. The breach of contract may also derive from tortious interference, which is considered as a violation of the duty of good faith and grants the harmed or threatened party the right to claim protection against it. the extreme disadvantage to one of the parties, which compromises the financial obligations undertaken under the contract. This rebalancing possibility ends up mitigating the strength of the pacta sunt servanda clause in exceptional circumstances. there were supervening, unforeseeable, disadvantageous events justifying the need to rebalance the contract. This proof is generally made by the disclosure of the contract in court. If it is written in any language other than Portuguese, the document must be translated into Portuguese by an accredited translator in Brazil. If the document was executed abroad, it must be notarised and the signature of the notary public must be legalised by a competent authority, in the case of appostilation, or authenticated by a Brazilian consulate, if the document emanated from a country that is not signatory to the Hague Convention of 5 October 1961, Abolishing the Requirement of Legalisation for Foreign Public Documents. If demanded by law, the plaintiff must also register the contract with the relevant office of the Registry of Deeds and Documents in Brazil. If the plaintiff alleges that it is entitled to receive an indemnification as a result of the counterparty's contractual breach, the plaintiff will have the burden to evidence not only the losses it has suffered, but also to quantify its extension. Depending on the nature of the damage, an expert may be appointed to conduct an expert examination not only to confirm the losses and their link to the counterparty's undue conduct, but also to assess how much the breaching party must pay as indemnification. The defendant also has the burden to prove its allegations raised in the defence, meaning the existence of facts that prevent, extinguish or modify the plaintiff's rights and allegations. For instance, the defendant may prove that it stayed the performance of contract because the plaintiff had failed to comply with its obligations in the first place (the exception of a non-performed contract). In any circumstances, the use of evidence obtained by illicit methods is prohibited, pursuant to the Federal Constitution. Although both plaintiffs and defendants have the burden to prove their own allegations and claims raised in the complaint and in the defence, in exceptional cases, the court may impose on the counterparty the burden to produce certain pieces of evidence important for the matter under scrutiny, dynamically allocating the burden of proof among the parties. For instance, in view of the peculiarities of the lawsuit, this inversion on the burden of proof may occur when the party originally obliged to produce the evidence in court cannot do so, or when one of the parties has more ready access to the evidence. The dynamic distribution of the burden of proof may also be agreed by the parties, before or during the lawsuit, as the Code of Civil Procedures allows the parties to allocate the burden of proof by themselves, provided that such an allocation does not impact an inalienable right or renders the exercise of a right by one of the parties extremely difficult. This provision is especially useful for domestic and transnational commercial agreements, improving legal certainty and avoiding the risks inherent to leaving that allocation at court's discretion. The Brazilian system does not provide for a full disclosure of documents. Normally, the parties must rely on their own pieces of evidence, use them to substantiate the claims raised in the lawsuit and, then, submit such evidence to scrutiny by the counterparty and by the court (the adversarial principle). Once discovery is complete, including the holding of trial hearings, the court may render its decision, which is appealable at the respective court of appeals. Unlike US proceedings, Brazilian legislation does not provide for a broad discovery allowing the party to oblige its opponent to disclose a vast number of documents and information as evidence in the litigation. The Code of Civil Procedure puts at the parties' disposal a more limited proceeding, in which the plaintiff must satisfy certain legal requirements – such as to prove that it does not have access to all relevant documents needed to prove its injury, to prove with high level of certainty that the documents exist, are in possession of the counterparty or third-party, as well as the purpose of the document and their relevance for the matter under scrutiny – to be granted the command obliging the opponent to disclose the specific documents in court. Defendants in a commercial contract dispute may raise broad a defence against the claim – regardless of whether it is made through an enforcement proceeding, monition action or ordinary collection lawsuit – not only addressing the merits of the case (e.g., exception of a non-performed contract; defect in legal business by means of wilful misconduct, error, coercion, fraud or sham; substantial performance; or non-occurrence of unforeseeable events justifying the rebalancing of the contract), but also discussing preliminary topics, such as jurisdiction, compliance with arbitration clause, extinguishment of right by peremption, statute of limitation, lis pendens and res judicata. In the case of an enforcement proceeding, the immediate enforcement acts against the defendant will only be stayed if the defendant provides a guarantee in court in an amount sufficient to cover the amount under dispute plus court costs and attorneys' fees, and if the party evidences immediate risk of damage to its defence and rights. As a rule, the defendant should provide pieces of evidence on all facts and arguments raised in defence, especially facts intended to extinguish, impair or modify the plaintiff's right. a 10-year period to discuss the validity of a contractual clause and the recognition of civil liability (the case law, however, is hesitant in this regard and there are cases applying a three-year limitation period). The defendant may argue the impossibility to perform the defaulted obligation. However, this allegation does not entail defendant's full release. In this case, the performance of the obligation may be converted into the obligation to indemnify. The allegation of fortuitous event or force majeure is also possible. However, only events that were unforeseeable can serve as grounds to refute the party's liability. Although the law authorises the submission of any defence, the parties should act based on good faith and ethics, and the filing of a defence that is against existing evidence and legal provisions is prohibited, and the party may be fined for abuse of process. Breach of contract claims may include breach of the principle of good faith. In addition to that, tort and error are defects that may cause the annulment of a contract. Thus, cases of fraud, misrepresentation or any other tortious conduct may give rise to a claim for annulment of a contract or for damages. In order to request the annulment of the contract, the non-breaching party must demonstrate that the defect is substantial to the extent that, if it were known beforehand, it would not have given its consent to the contract. The breaching party will only be subject to the duty to indemnify if the non-breaching party actually suffered damages or loss of profit as a result of such conduct. In other words, the non-breaching party must prove that it has suffered damages arising out of the fraudulent or tortious conduct in order to be entitled to receive any indemnification. However, if the contract imposes a fine for the party that incurs in one or more of the aforementioned conducts, that fine may be enforced without the need to demonstrate the occurrence of damage. Finally, fraud may be qualified as a criminal offence and, therefore, may be also subject to criminal prosecution. claiming for indemnification to remediate the damage caused by counterparties' default. The non-breaching party may file an enforcement proceeding to oblige the counterparty to specifically perform the defaulted obligation. As discussed in a previous topic of this analysis, in order to file this enforcement proceeding, the non-breaching party must evidence that the contract is deemed as an extrajudicial executive title and that the defaulted obligation is certain, liquid and demandable. If the document does not fulfil all legal requirements of an extrajudicial executive title, the non-breaching party may file an ordinary lawsuit with an injunctive request in order to obtain an order for the counterparty to comply with the contract. The request of specific performance may be coupled with a request to the court to fix a periodical penalty to ensure that the counterparty will perform the defaulted obligation as set forth in the contract. The setting forth of a periodical penalty has shown high level of effectiveness throughout the years, especially in cases where the counterparty is in good financial condition. The court may fix the penalty amount, increase or reduce it throughout the time or change its periodicity (daily, weekly, monthly) in order to entitle the injunctive order with the highest possible level of effectiveness. The figures of a periodical penalty, however, are not unlimited – the case law has confirmed that the amount of the penalty cannot be higher than the value of the obligation under dispute, otherwise it might cause undue enrichment of the non-breaching party. Depending on the value of the underlying obligation, this limitation may be viewed as a hurdle to the full compliance of the obligation, as the non-breaching party would not be under the necessary pressure to do so. The non-breaching party may also enforce any penalty set forth in the contract concerning the defaulted obligation. There is no impediment for the plaintiff to couple the enforcement of a contractual penalty with the periodical penalty to be fixed by the court aiming at obliging the specific performance of the obligation. They are independent and have different natures: while the former is a contractual consequence of the contractual breach, the latter is not set forth in the contract, but originates from a court order to ensure the effectiveness of the injunctive order. The breaching of a contract may also give grounds for its termination. In this case, instead of requesting the specific performance of the obligation, the non-breaching party may request its termination together with any contractual penalty and any damages arising out of the breach. When it comes to claims for damage, any sort of damages may be claimed by the non-breaching party, such as moral damages and compensatory damages (e.g., reasonable earnings that the fulfilment of the contract would grant to the non-breaching party and loss of profit). The non-breaching party must not only evidence that the breach has caused concrete losses to it, but also assess the amount of such losses that will be indemnified by the breaching party. An expert examination may be conducted during the litigation in order to evidence the damages and their figures – although confirming the breach, there will be no indemnification if the expert examination confirms that the breach has caused no concrete damage with financial consequences to the party. Unlike the periodical penalty, there is no legal limitation for compensation of concrete damages arising out of the breach – the breaching party will be condemned to indemnify any concrete damage assessed in court, even if its amount is considerably higher than the underlying obligation. The amount of the indemnification for compensatory damages is assessed by the exact extension of the injury and is quantified by the court through an expert examination. Determining the amount of the indemnification for compensatory damages depends on the ability of the plaintiff to evidence the losses deriving from the alleged wrongful act. Otherwise, the indemnification would cause the undue enrichment of the plaintiff, which is forbidden by law. Under Brazilian law, only direct damage is subject to indemnification – the plaintiff must provide a grounded direct chain of causation between the breaching conduct and the losses arisen out of such conduct. Any indirect damage is not indemnifiable, as only the party directly affected would have standing to sue. There is no law authorising punitive damages due to a contractual breach – the amount to be indemnified must correspond to the actual losses suffered by the non-breaching party. Nevertheless, doctrine has developed a threefold function for the condemnation of moral damages, which should: concomitantly compensate the victim for the wrongful act that injured its moral; punish the aggressor; and prevent the wrongful act from happening again. To some extent, although it is still considerably far from the US standards about punitive damages, this interpretation by the Brazilian doctrine ends up functioning as a sort of 'punitive damages' encompassed by the moral damage category. Parties usually contractually define monetary adjustment and interest rates in the case of default. In court, if the contract is silent about it, from the date when the defendant is served with process the amount of indemnification is ordinarily accrued with the Special Clearance and Escrow System (SELIC) (the Brazilian prime rate) or with monetary inflation plus interest amounting to 1 per cent per month. Brazil has a civil law system with solid legislation and relatively predictable case law concerning complex commercial relationships, with remedies and rights against breach of contracts. In the next few years, the market is expecting legislative developments towards the enactment of a new Commercial Code,2 with relevant changes for commercial contracts and corporate daily activities. The current economic environment in Brazil is that currency exchange rates have been fluctuating considerably and political turmoil linked to corruption investigations has impacted several important sectors of the market. These elements may play an important role in the increase of commercial disputes in the coming years, not only involving contractual breaches (e.g., requests for specific enforcement or indemnification), but also addressing claims for rebalancing obligations because of supervening, unforeseeable, disadvantageous events. 1 Diógenes Gonçalves is a partner, Eider Avelino Silva is a senior associate, Gianvito Ardito and Pedro Ivo Gil Zanetti are mid-level associates of Pinheiro Neto Advogados. 2 Legislative Bill No. 1,572/2011.